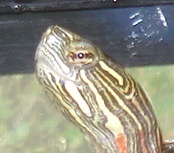 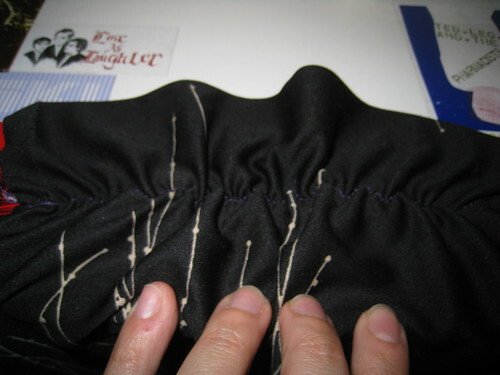 I often lean on elastic ruching to get things to fit better, because my sewing sometimes takes shortcuts. 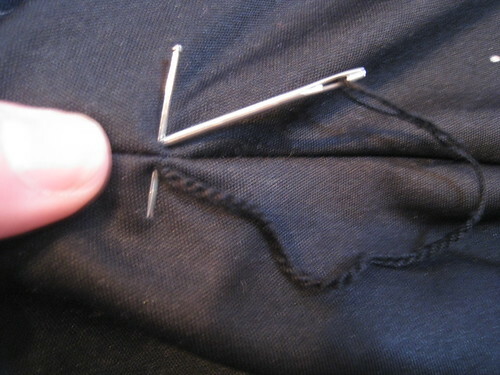 Like adding dimension to long t-shirts and tops. 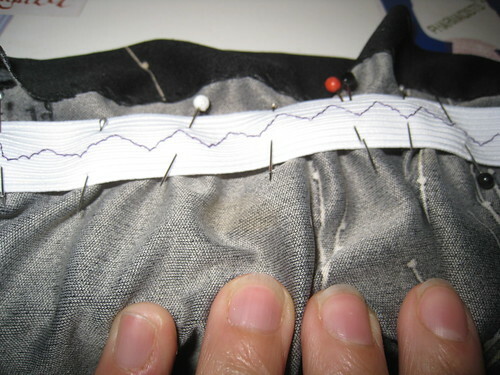 And taking up mermaid skirts without hemming. 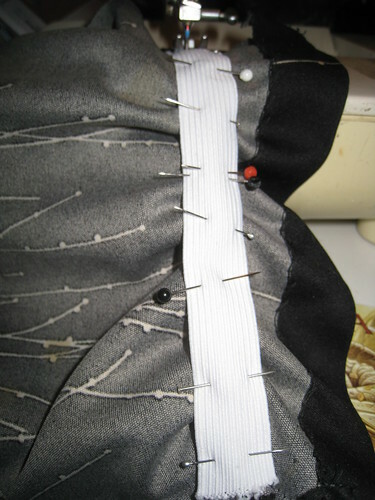 And sucking in the backs of dresses that don’t have much shaping. 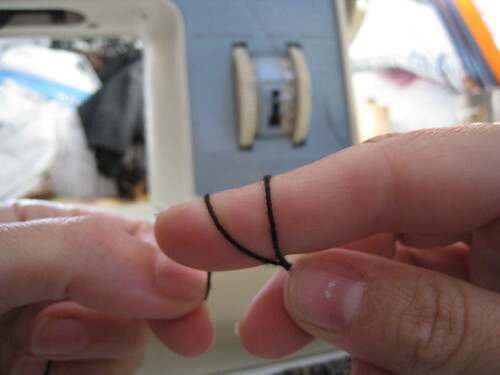 It’s really easy to do. 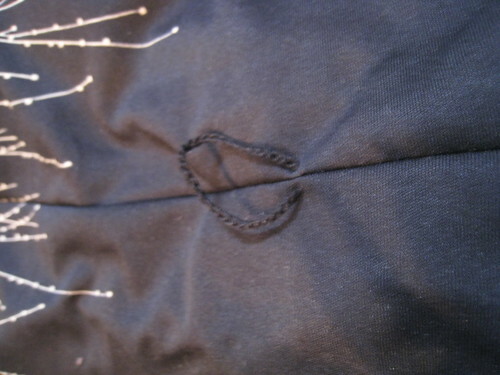 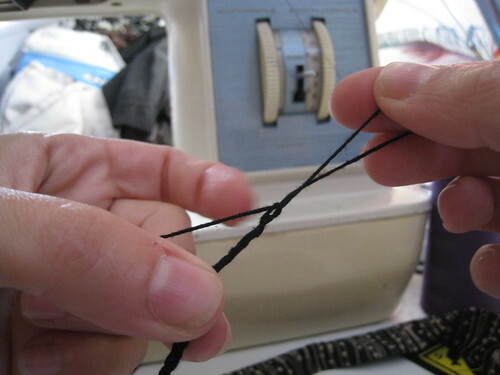 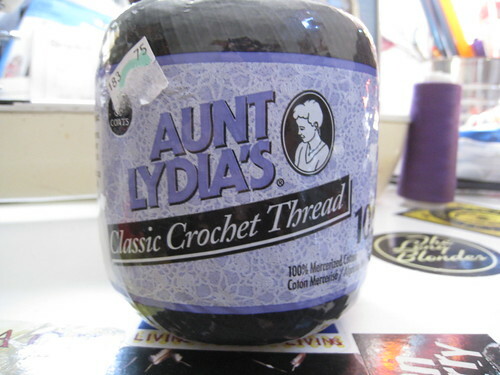 You need thin elastic or elastic cord, pins and a zigzag stitch on your sewing machine. 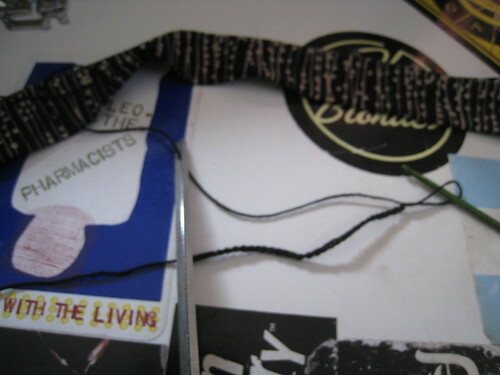 First, figure out where you want the ruching to go and how long you want it to be. 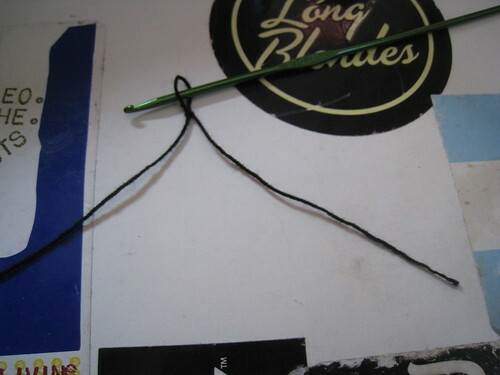 You can do this by stretching the elastic out, or by measuring with a tape. 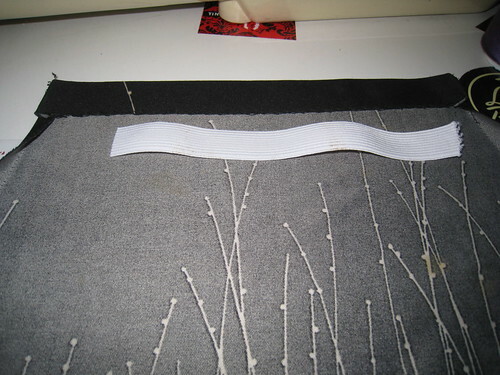 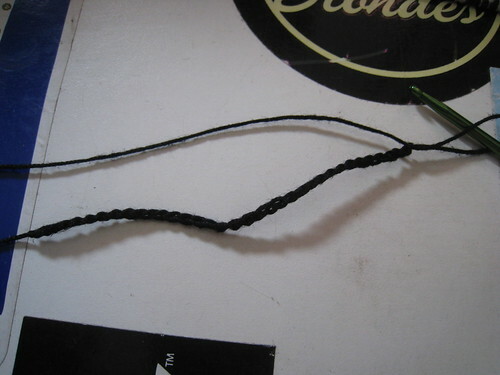 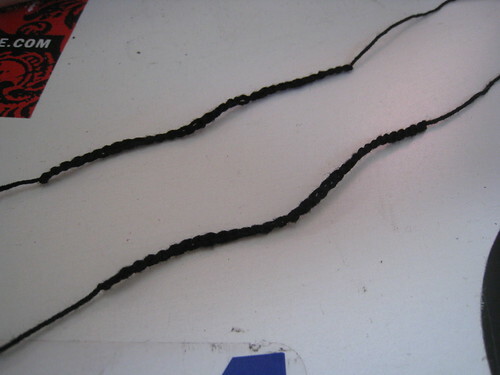 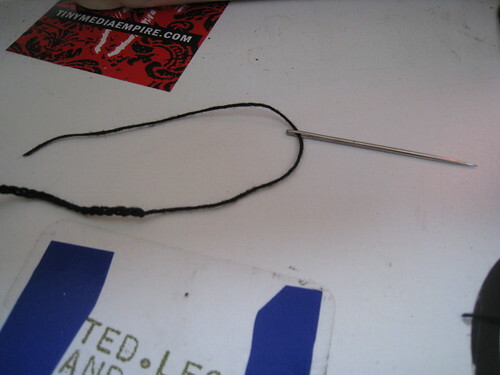 Measure out elastic in that length, plus one inch so you’ll have half an inch on each end. 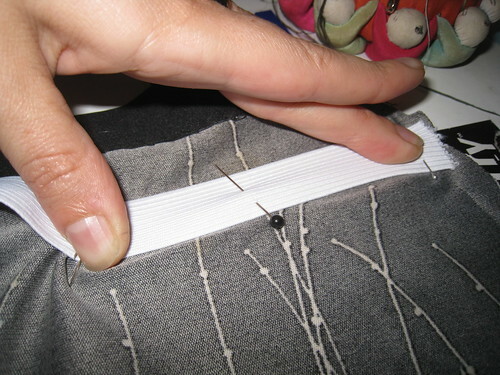 Pin the elastic at the top point, sticking pins in perpendicular to the elastic you’ll sew. 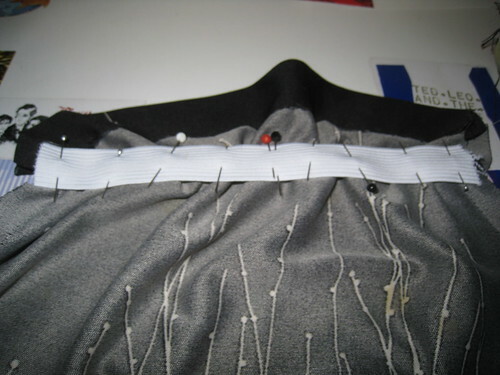 Pin the elastic at the bottom end. 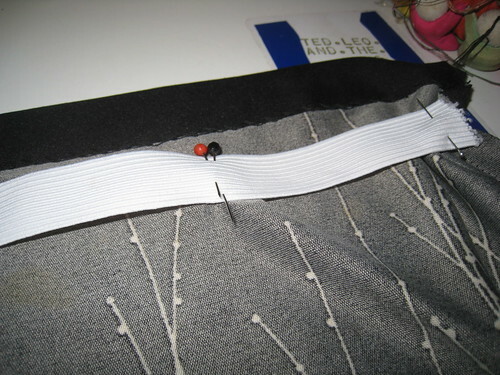 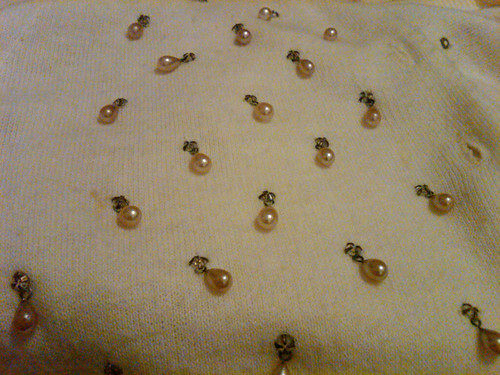 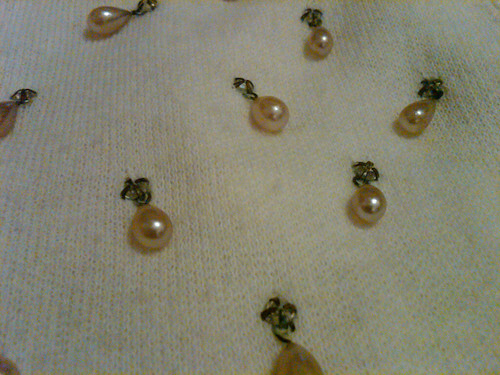 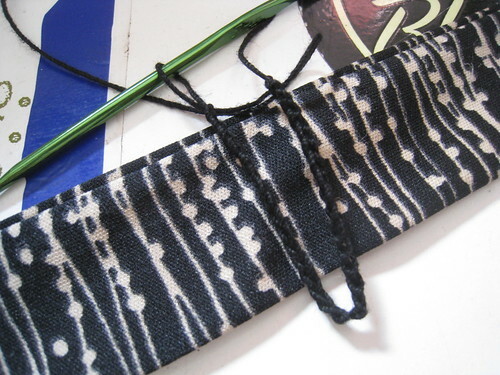 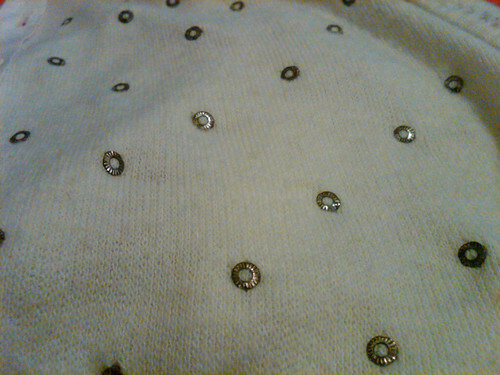 Now match the middle of the elastic to the midpoint of the fabric and pin. 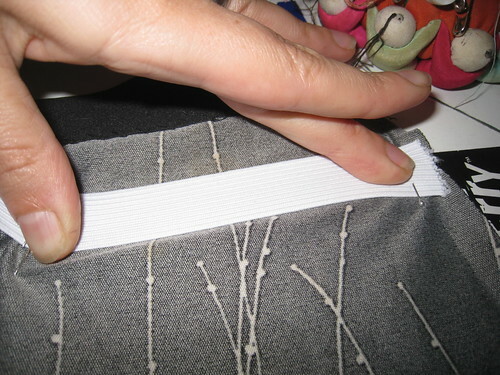 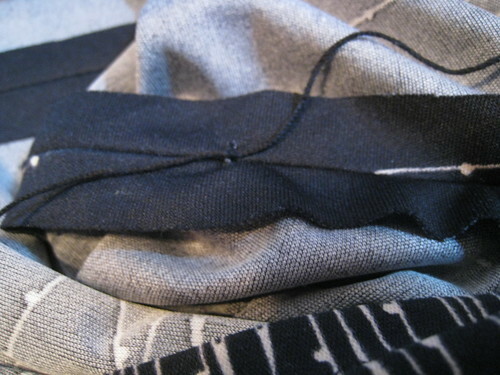 …and pinning a few times until you’ve secured the elastic in place. 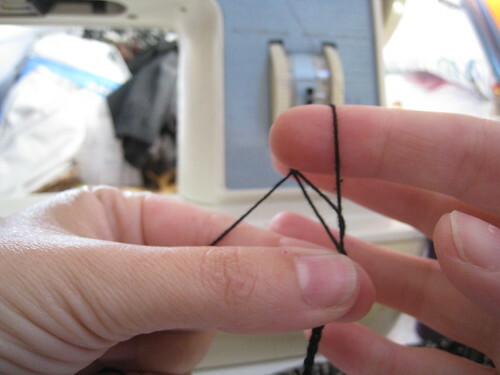 Set your machine to a middle-wide zig zag. 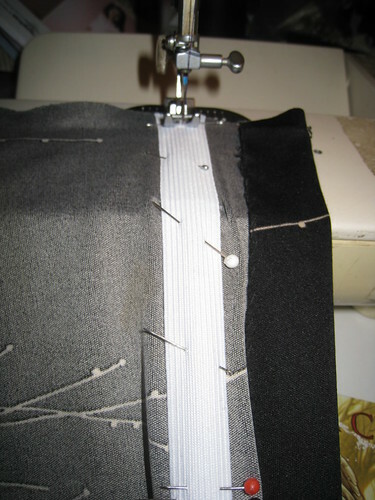 My machine uses a 1-5 scale; I use the #3 setting. 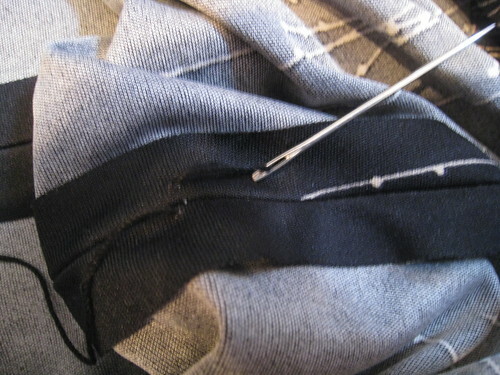 Drop in a few stitches, stretch the fabric and elastic and sew slowly until you’ve secured the whole piece.